Apparently there is a movie with Keanu Reeves and Sandra Bullock called The Lake House coming out tomorrow. (Amee tells me it’s a remake of another Korean film called Il Mare.) I really can’t help but think back to the last big movie to feature these two actors (much like how, as a child, I thought anything with Christopher Reeve in it had to be a Superman sequel), and I started thinking up wild plot twists to explain the whole “living two years apart” storyline, mostly centering on relativistic space-time distortion scenarios involved in traveling at near-light speeds. 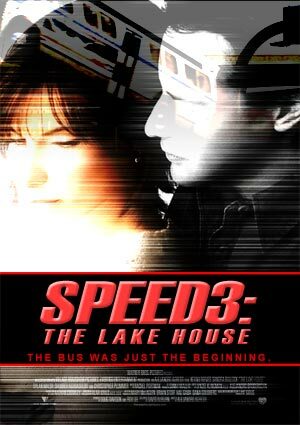 So here is my brief treatment of The Lake House as bad sci-fi Speed sequel.